In 1999 two JT42CWR locomotives were delivered to GMAC Bank for lease to Häfen und Güterverkehr Köln AG (HGK). This made HGK the first user of the type outside Great Britain. After being on lease for a short period, both DE 61 and DE 62 were sold to the German operator. Locomotive DE 61 was briefly tested by DB AutoZug in 2005 to find out if the locomotive type was suitable for hauling the Sylt Shuttles over the Hindenburgdamm. As of August 2012, DE 61 and DE 62 are operated by RheinCargo, a cooperation of HGK and Neusser Eisenbahn (NE). 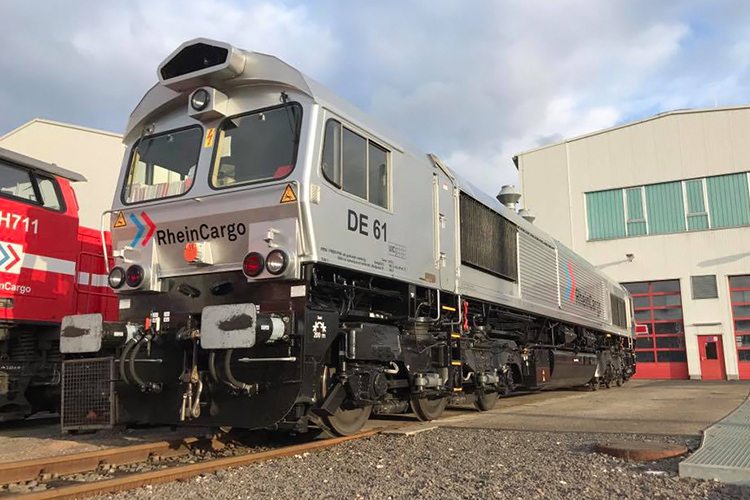 RheinCargo later restyled the two locos into its silver company colour scheme.